Sheri Berry's designs are so cute, and Alpine Wonderland is no exception! I can see Christmas quilts, but also some pretty aprons for the bakers on my gift list this year out of this line. I think Sweetwater's Lucy's Crab Shack is the perfect fabric for summer sewing. I'm really loving the bathing suits hanging out to dry! Too cute!! Of course anytime Tula Pink has a new line coming out I'm always interested! I'm intrigued by her take on Halloween fabric. Nightshade is so beautiful I think I'd keep it at all year long! My favorite new Halloween line has to be Guising from Lizzy House. The candy corn, the ghosts, the new pearl bracelets...can't wait to make some Halloween decor from this! 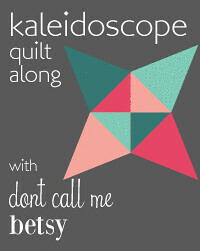 As someone who loves to make quilts for babies and kids, I can't wait to see The Simple Life by Tasha Noel. Of course there are many, many more, but I think I've gone on long enough. 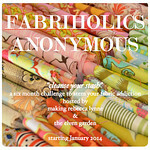 Time to stop dreaming about new fabric and go finish some of my current projects! 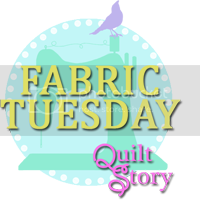 Are there any fabrics that you are picturing in your dream stash that I didn't mention? Do tell! Pictures courtesy of the Fat Quarter Shop and Hawthorne Threads. Two of my very favorite places to shop!